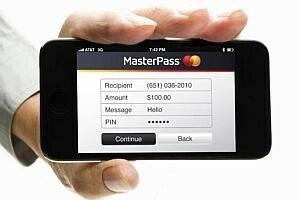 [SINGAPORE] MasterCard yesterday launched its digital payment service, MasterPass, in Singapore. This service lets consumers store information from various kinds of cards, including credit and debit, issued by participating banks in "digital wallets". After the initial set-up, shoppers will bypass the rigamarole of entering their 16-digit card number along with details like mailing address and shipping information each time they buy something from a merchant that offers the MasterPass payment option. "Research shows that consumers prefer to see their financial information stored in wallets from their (card) issuers, because the issuers are whom they trust their money with. MasterPass supports wallets launched from financial institutions ... and that's a key difference," said Raj Dhamodharan, MasterCard's group head, emerging payments, Asia Pacific. So far, DBS Bank, Maybank and OCBC Bank have come onboard, issuing wallets with MasterPass. CIMB Bank is slated to roll out its wallet soon, while UOB should join the platform within the year. In Singapore, the first country in South-east Asia to launch MasterPass, more than 250 merchants currently offer the MasterPass check-out option online, including Shaw Theatres, Sistic and beauty product retailer Luxola. Globally, more than 40,000 merchants have come onboard with the service that was first launched in February last year. It is currently available in the US, the UK, Canada, Australia, New Zealand, Italy and China. As the demand for online and mobile shopping has grown, so too has the need for less-cumbersome ways to make payment, especially on mobile devices with small screens. Citing research that MasterCard carried out, Julienne Loh, general manager, MasterCard Singapore, said: "Eighty-five per cent of consumers said that multiple-payment platforms are confusing. They've got different experiences with different merchants. They just want one simple experience." Eventually, MasterPass will extend its reach into offline shopping in stores, through the use of Near-Field Communication or contactless technology and QR codes.